Druids have four distinct specializations: Balance, Feral, Guardian, and Restoration. Each brings with it a unique identity that is reflected within the Artifact weapon choices. Balance Druids wield the Scythe of Elune, a weapon that demands a true understanding of what balance means. Those who are not strong enough are easily pulled by this magnificent weapon’s tides and become the mastered rather than the master. 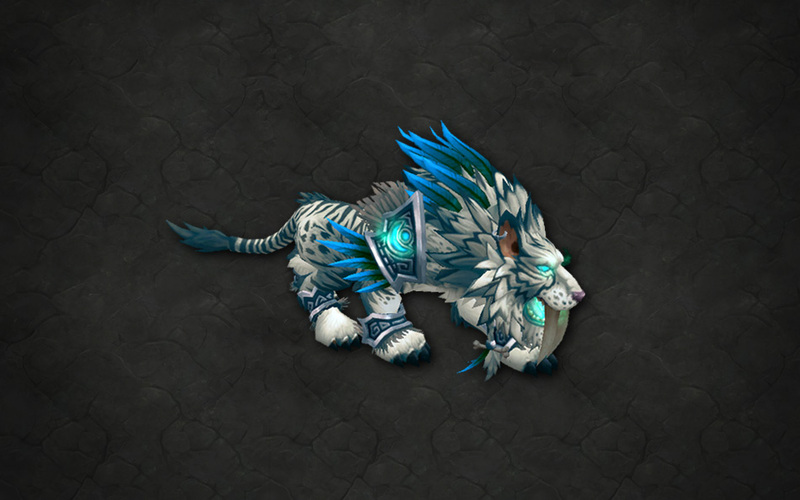 Feral Druids carry what is far more than a symbol of their fierce resilience in the Fangs of Ashamane. Infused with a primal power of old, they will serve well in the fight to come. 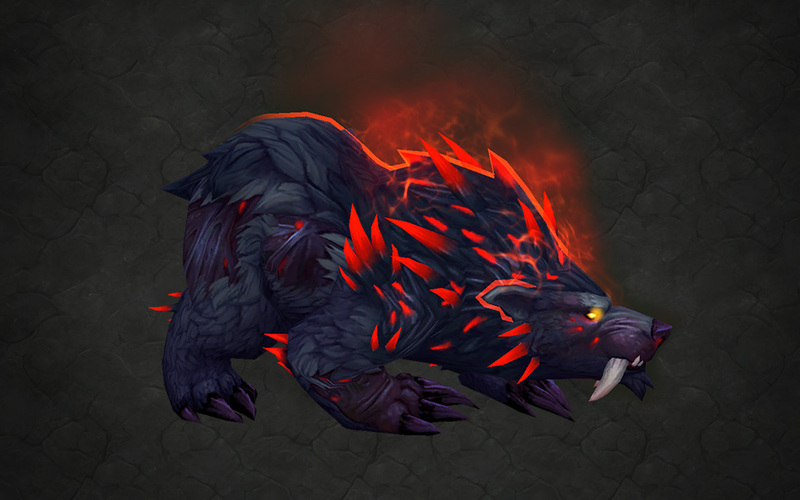 Guardian Druids exemplify the term “force of nature.” With the Claws of Ursoc to aid them, they will become a formidable wall of fur and rage, withstanding any who dare face their might. Each Artifact is a symbol of the might of the Druid that wields it. Names have power—learn those of these mythic weapons well, for they will be your constant companions against the deadliest foe you’ve faced yet. This mystical artifact was created millennia ago from the Staff of Elune and a fang from the wolf demigod Goldrinn. The Scythe of Elune carries a long and unsettling history for druids: those who are not careful enough can easily be overwhelmed by Goldrinn's spirit, which infuses the scythe. 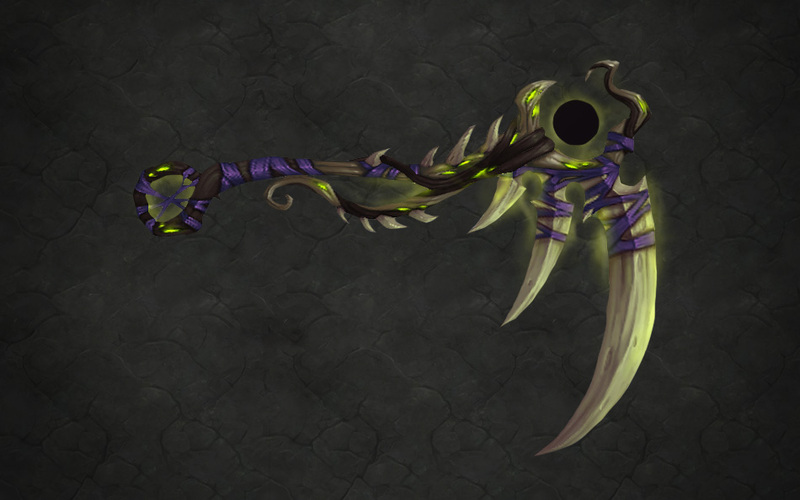 Tied to the origin of the worgen on Azeroth, the scythe is said to possess untold lunar power for the druid with balance enough to keep control. The massive gray panther Ashamane, one of the first Wild Gods, was one of many to answer the call of the demigod Cenarius and defend the world of Azeroth during the War of the Ancients. She fell in battle against the Legion, but saved countless lives in the process. A great shrine was built in her honor in Val'sharah, and her fangs were adorned and put on display there. It is said they still carry much of her power. Forged from titansteel by the titanic watcher Keeper Freya, these claws were her gift to the great bear Ursoc, one of the Wild Gods. He wielded the claws in countless battles until his death during the War of the Ancients. Although his body faded away, the claws remained, and legends say a fragment of his spirit lingered within them. After wrestling the claws away from Ursoc's furbolg followers, a band of druids took the claws to the Emerald Dream, sought out Ursoc's spirit, and returned the claws to him for safekeeping. This is a single branch taken from G'Hanir, the first tree, which was gifted to mortal druids by the demigod Aviana long ago. Its connection to the mystical Emerald Dream serves as a healing and stabilizing influence on the world of Azeroth. 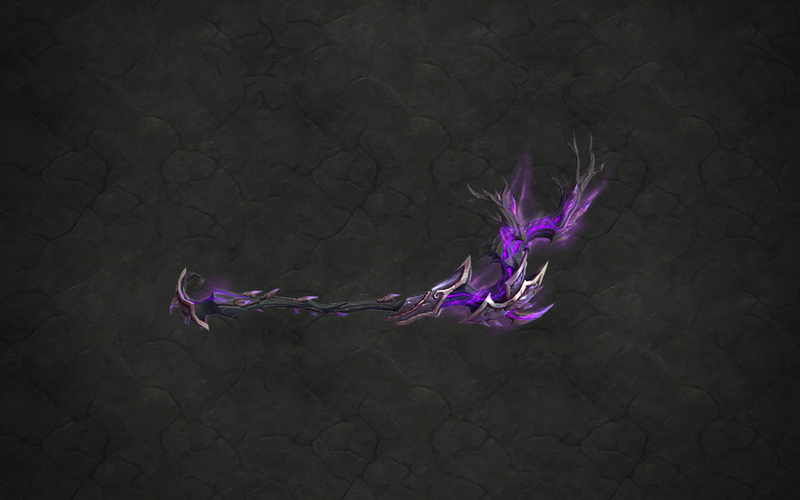 In recent times, druids have used this staff to hold back the corruption and madness of the Nightmare. As a result, satyrs within the Nightmare are desperate to see G'Hanir destroyed.